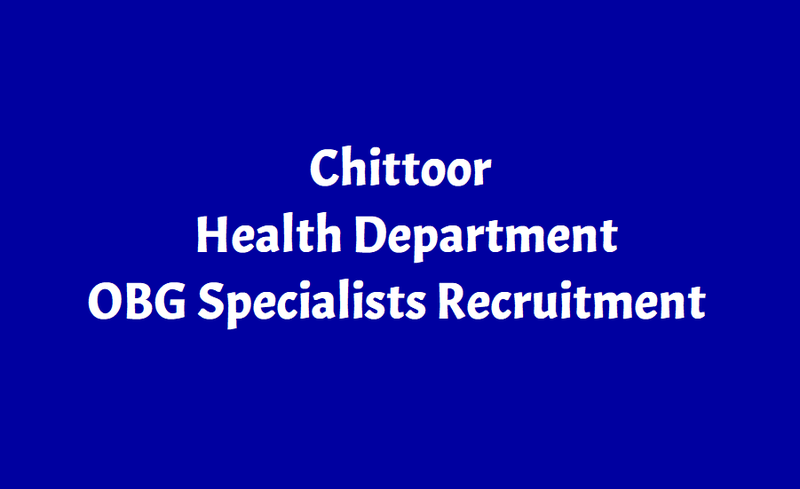 Chittoor Health Department OBG Specialist Posts Recruitment 2018 and Last date to apply is 28.11.2018. 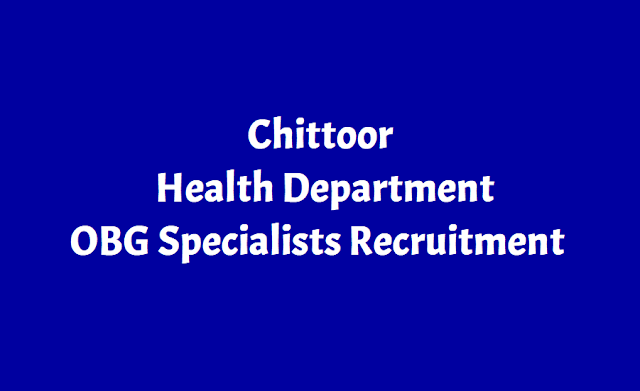 Health, Medical & Family Welfare Dept, Chittoor Recruitment notification for filling up of the post of OBG Specialists in Cemonc Centers on Contract basis. Applications are invited from the qualified candidates for recruitment of OBG Specialists under National Health Mission for utilization of their services at CEMONC (Comprehensive Emergency Obstetric and Neonatal Care) on contract basis initially for a period of one year. Applications in the prescribed format may be sent to the District Medical and Health Officer, Near District Collectrate, Chittoor on or before 28-11-2018 up to 5:00 PM. The guidelines and application form in prescribed format can be obtained at www.chittoor.ap.gov.in. Cemonc Centers: AH, Madanapalli-1, AH, Kuppam-2, CHC, Puttur-1, CHC-Piler-1, CHC, Sathyavedu-1, AH, Palamaner-2, AH, Srikalahasti-2 & GMH, Tirupathi-1. Qualification: Pass in MBBS Degree and having OBG Specialty. Age limit: Maximum Age: 42 years for OC and 5 years relaxation for upper age limit for SC/ST/BC and 3 years for ex-service Men and 10years for Physically Handicapped Persons. The minimum and maximum age shall be reckoned as on 01-07-2018. Selection Process: Based on marks obtained in the qualifying exam. Applications in the prescribed format may be sent to the District Medical and Health Officer, Near District Collectrate, Chittoor. d) Lis of documents: The following documents are to be submitted in the following order only. 3. Attested copies of MBBS, Internship and Permanent Registration (MCI/APMC/ or any other state MC) certificates.